Microsoft just unveiled the latest in its long line of Windows Server updates, Windows Server 2019. In addition to the wide array of new features available on this latest version, it will also bring about an improved experience with Azure. 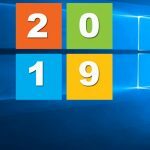 While the finalized version won’t be released until later this year, here’s a quick rundown of the new features and capabilities that might interest your organization within Windows Server 2019 and Azure. Windows Server 2019 is bringing a new chapter to Microsoft’s journey of delivering powerful innovations to developers. This includes updating Windows Server container technology from what users have come to expect from Windows Server 2016 and the Semi-Annual Channel updates. Windows Server containers is a feature that’s available on-premises and in most public clouds. It’s been used extensively in the last several updates. And this latest version offers even more in the way of innovative features, including an integrated debugging, development, and deployment experience that uses the Visual Studio workflow and leverages the underlying integrations with Visual Studio Code and Docker. These capabilities are already available for those in the Windows Server Insider program. And the feedback from those users will then help to shape the experience moving forward. The new update will also include a Windows Server 2019 update available for deployment on Azure and Azure Stack. Using Azure for Windows Server applications allows developers to enjoy first-class native support for Windows Server and a continuum of additional options like virtual machines, Platform as a Service (PaaS), microservices, and serverless options. This deployment option offers a couple of new features and capabilities that could interest developers. First, Azure Service Fabric offers a distributed systems platform that simplifies the process of developing, deploying, and managing microservices. Azure Container Instances is also getting a bit of an upgrade. This tool supports Windows Server containers and extends containers so that they’re able to operate in a serverless fashion.